When you’re experiencing problems with oral health, your primary concern is probably the pain your experiencing and potential cosmetic problems that tend to come with it. What you may not be thinking about is how poor oral health can result in complications on a wider scale. Diabetes has been shown to be both a potential cause and result of poor oral health, meaning that keeping your teeth in good working order can be vital to your long-term health in more way than you expected. How Are Diabetes and Oral health Related? Recent research has revealed that those who are experiencing severe gum disease have the potential of experiencing difficulty in managing their blood glucose control naturally, a major contributing factor in diabetes progression within the body. Further, due to their vulnerability to infection from bacteria, those who have diabetes already can experience greater dental issues and instances of periodontitis and gingivitis. As a result, medical and dental experts have been stressing the importance of good dental health for everyone in an attempt to help reduce the growing number of diabetes diagnosis being found. If you were wondering whether or not to tell your dentist about your dental health concerns, the answer is a resounding YES. Your dentist should be aware of any and all medical conditions you’re experiencing as oral health is beginning to reveal itself to be a system-wide concern. Health issues you have may be the result of, exacerbated by, or the cause of dental concerns. Be sure to provide complete information for your dentist and coordinate between them and your PCP. 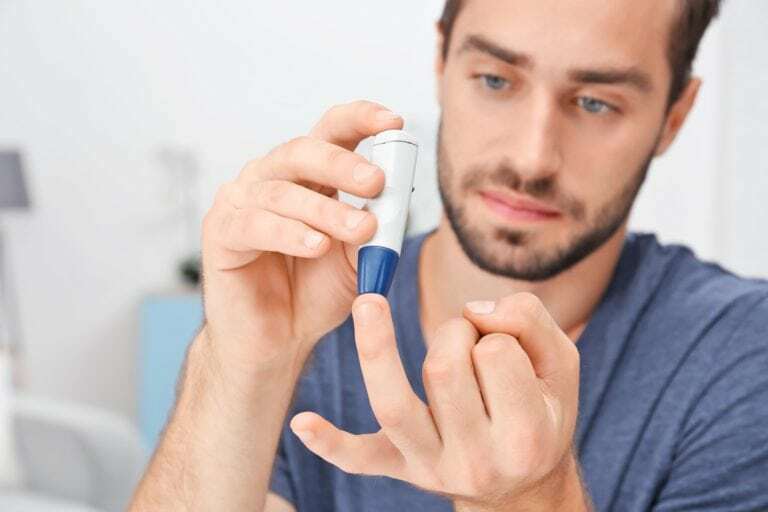 As with all patients experiencing diabetes, it is important that you maintain control of your blood glucose level, as well as practicing consistent and thorough dental health care. Steps to take can include reducing or eliminating any tobacco-related habits, brush at least once daily, floss, use mouthwash, and of course maintain a steady routine of dental visits every six months. Those who have maintained good control of their blood glucose levels have reported reduced instances of diabetes-related dry mouth as well. What Kind Of Oral Health Complications Can You Experience With Diabetes? As mentioned previously those with Diabetes have an increased sensitivity to bacteria related oral health concerns. Along with the more common gingivitis and periodontitis, these patients are also more susceptible to conditions like Thrush, a yeast infection that occurs in the mouth and tends to appear on the tongue. These types of conditions can also lead to halitosis or an unpleasant odor on your breath. What Should I Do If I Have Diabetes or Oral Health Concerns? The best thing you can do is contact your dentist and ensure they’re aware of your present health condition. It’s likely that your regular physician is already aware of your condition, but be certain to inform them if you’ve just joined their practice. Schedule regular appointments and practice consistent good oral hygiene to help protect your overall health and keep a beautiful smile.